Supported by well-informed professionals, we are providing an extensive series of Duroplast Soft Close Seat Cover. Keeping in mind varies requirements of schools, colleges, homes, hostels, hospitals, hotels, restaurants, cinemas; we are offering an extensive assortment of Vistaar Seat Cover. This seat cover is available in a variety of colors, shapes and sizes to suit the decor of the bathroom. 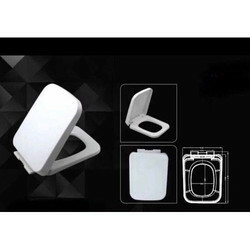 Amic Ceramics is one of the foremost toilet seat cover Merchant Exporter and sanitary toilet seat cover suppliers, from India. Our toilet seat cover and sanitary toilet seat cover are widely admired by global clients. We aim to provide high-quality products at the most genuine price. 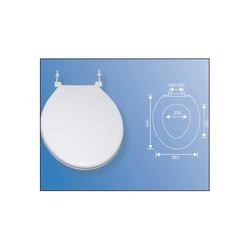 Toilet seat cover (Universal) is designed to suit both standard European and water savings closets. Available in all colours. We are engaged in exporting a wide range of Toilet Seat Covers. These toilet seat covers are manufactured using quality plastic and are offered in varying array of colors and sizes. We are offering a wide range of Baby Seat Cover.